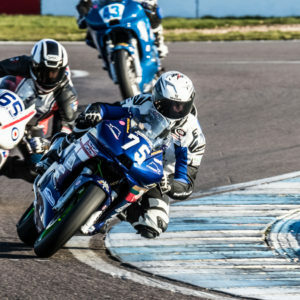 24th March Donington Park GP – The venue for the first round of both championships and what a weekend. The sun came out and stayed out which made for some good racing and a chance for the riders to push themselves hard. 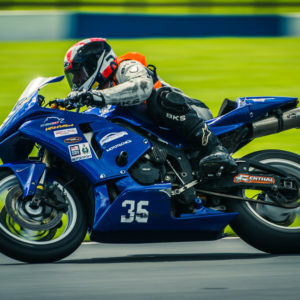 As the championships encompasses a range of different classes a simple points system is used to help to even out as best possible and ensure the best riders come to the fore. In short, it’s 1 point for starting, 1 Point for every rider you finish ahead of including fallers, 1 point for a podium position. With riders like Jon Hunt and Steve Bryson returning after a year out is was good to see them out there pushing hard. Hoping Tom Arkell had learned from his first race weekend we all went to track side to see how he was doing. He was competing in the Golden Era GP1 and had a good start, however after a few laps he was not seen. It soon became apparent he had thought it best to take a rest in the gravel again “curse of the new paint job”. Rider ok and the racing continued and over the weekend he gained in confidence showing some smooth riding by the end of the weekend. 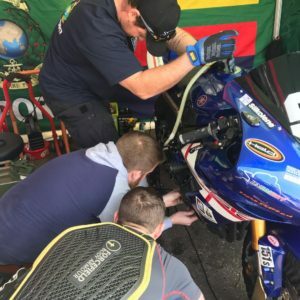 In the CB 500’s Lee Howarth doing an amazing job and Jon Hunt doing very well while adapting to the machine it was a joy to watch. Both having offs while pushing but coming back over the weekend, it was testament to the team that all the riders were able to get back out on track. 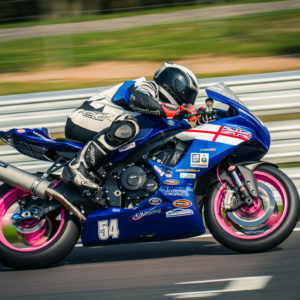 Max Wilmot and Dave “Tinks” White racing in the Golden Era supersport pushed each other all weekend and it was good to see them developing fast and getting their times tumbling every time they went out. In the end the points show a strong start to the season for all the riders. 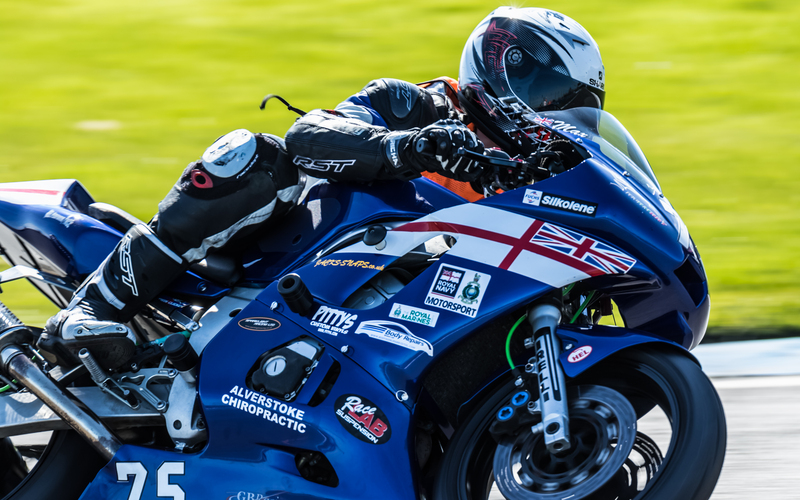 Next round 27-29 May at the Iconic Cadwell Park.